The digital age has created many advantages and opportunities for established companies and startups alike. From cloud computing for your business’s finances to big data analytics for next level information and stats regarding consumers, as well as social media and its multitude of marketing implications, the internet and rapid changes in technology have created an infinitely connected, engaged and easy-to-market-to world with plenty of efficient tools that help make for better businesses. Unfortunately, these endless possibilities also come with negative implications. Security has become a major concern for businesses as hackers, saboteurs and digital thieves use existing technologies to gain access to information, financial records, bank accounts and more. Therefore, digital security should be top priority for businesses. To get you started, here are some business process improvement tips to help beef up digital security in your company. Your employees are your first line of defense in terms of digital security. Since they have access to the IT systems your company uses, educate and train them in its proper use. Develop guidelines and preventive measures such as logging out of accounts on mobile devices and laptops whenever they’re not using them, password security and/or multiple authentication measures, and rules governing bring-your-own-device implementation. Create and maintain digital security awareness through HR-implemented programs and activities. Your IT department should constantly back up data to ensure minimum disruption to business continuity in the event of a system breakdown (due to malicious factors or otherwise). Backing up and storing data in secure physical locations can also help protect it from anyone looking to access your data for illegal purposes. For an added layer of protection, very important documents should be encrypted to reduce exposure and potential abuse/misuse. One crucial feature of cloud-based services is that they could add extra layers of protection for your business and its information/data assets. Since the data is stored off-site, getting access to it without the proper passwords, IP address-based security features, and other security features is extremely difficult. Develop ways to protect the information and monitor staff who have direct access to it. 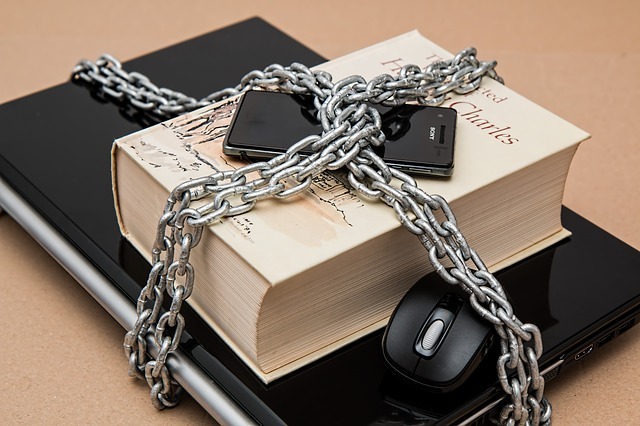 If information is an important asset for your business, find ways to protect it. Invest in your digital security by acquiring tools and apps that prevent hacking, remove bugs and viruses, secure information for business continuity, and protect access points. Think your company’s IT system needs an upgrade? Know for sure. Take our FREE Trust assessment and find out how you can improve your pillars of business with myCEO.